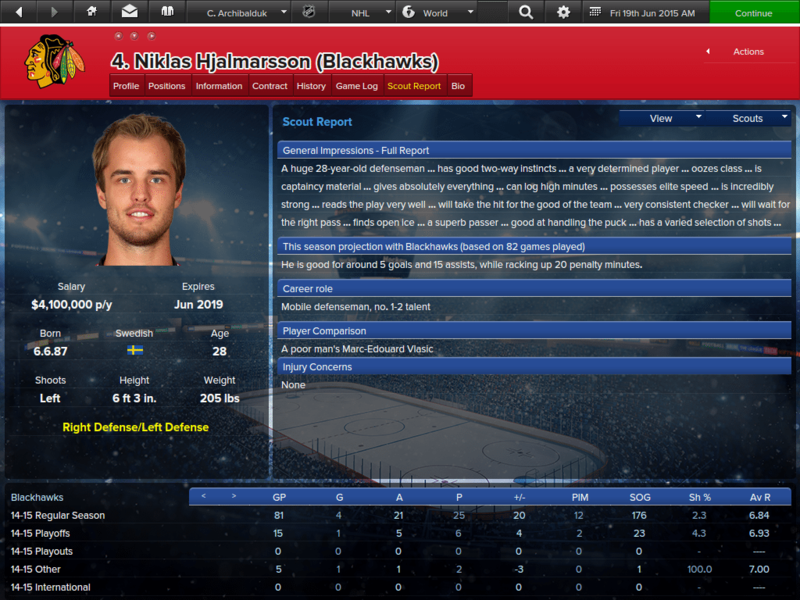 EHM picks up from where EHM 2007 left off and adds plenty of finesse and bug fixes. More than eight years after the Eastside Hockey Manager series was put on indefinite hold, the undisputed king of ice hockey management is back. A lot has changed since EHM 2007 was released in September 2006; not least the rise of the likes of Steam and social media. These platforms make niche games cheaper to launch and easier to market. 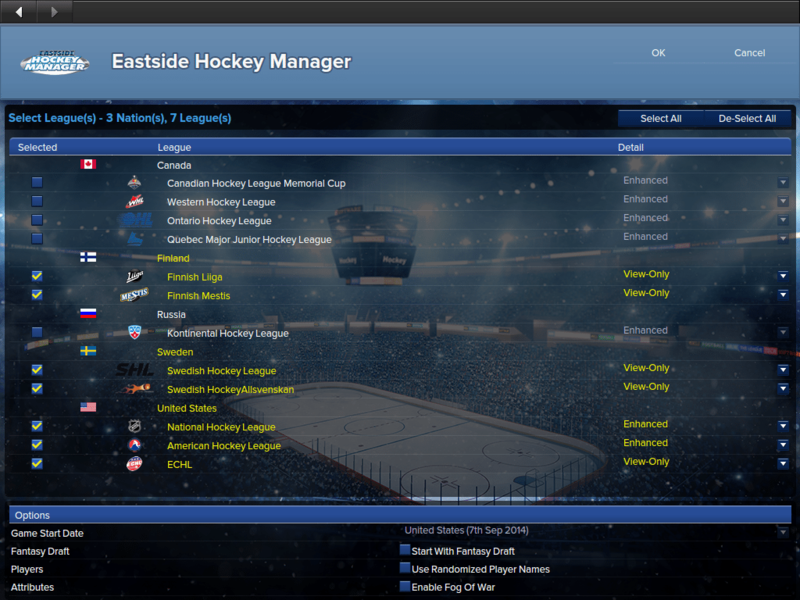 Indeed, Eastside Hockey Manager: Early Access (or EHM:EA for short) is being released exclusively on Steam and is likely to be heavily marketed using platforms such as Twitter and hockey forums such as The Blue Line and HFBoards. Against this background maybe, just maybe, the game will become a more viable project than it was before. This new iteration is being released as an Early Access game. The game will be continuously developed over the coming months with regular updates being pushed to users via Steam. To call it a beta version would be grossly unfair and inaccurate. The game is highly polished. It’s simply that the game will be developed whilst we play. The thinking behind this approach is to test the waters. If the game generates enough sales then it will return as an annual release. If not, then it won’t. 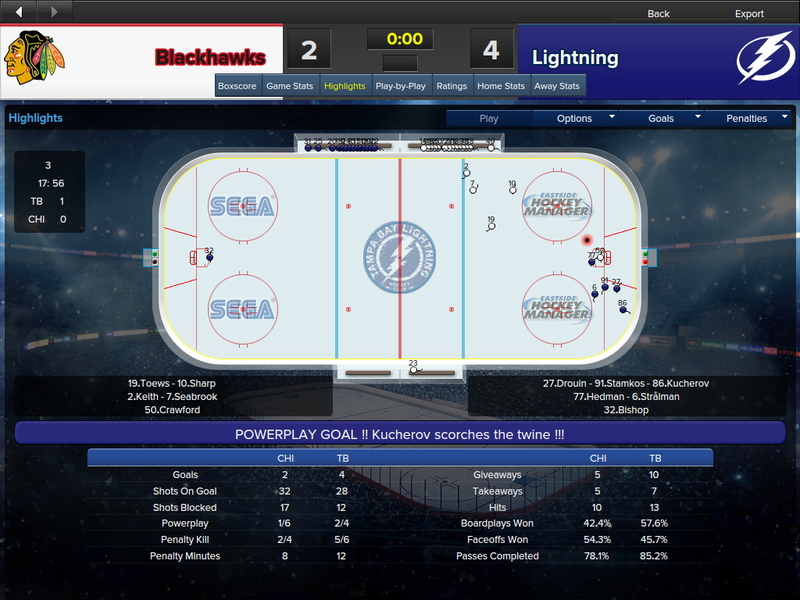 * Please note that the screenshots attached to this review are of the game using a third party modified database, logos and player images available from an unofficial EHM fansite. The game ships with a fictional database and without any logos or player images. In order to keep costs down, EHM:EA does not have any licences. Hence the two databases included contain fake name data. However, a key strength of EHM is the small but dedicated following it has enjoyed over the years. 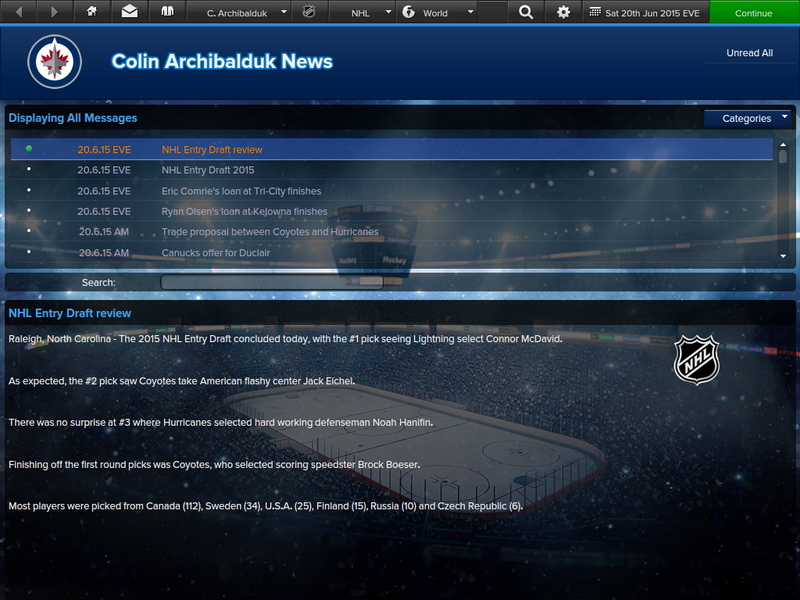 A small group of dedicated users have been keeping EHM 2007’s database up to date ever since the series was put on hiatus. Helpfully EHM:EA has the option to convert EHM 2007 databases into the EHM:EA format. The Blue Line has already taken advantage of this by today releasing an EHM:EA format database (known as TBL Rosters v7.3). The backwards compatibility doesn’t stop here; all EHM 2007 addons, except for skins, are compatible with EHM:EA. 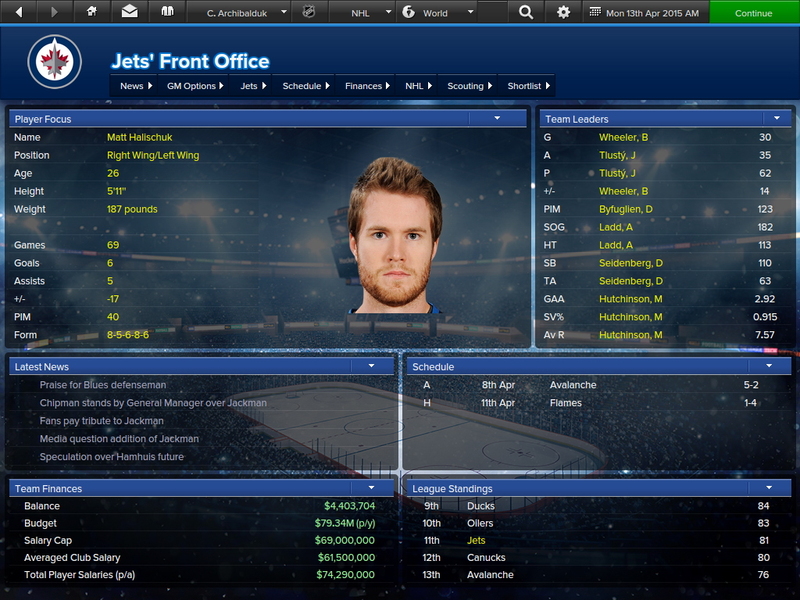 For the purposes of this review, I have installed the TBL Rosters v7.3 for EHM:EA along with various EHM 2007 facepacks and logopacks. 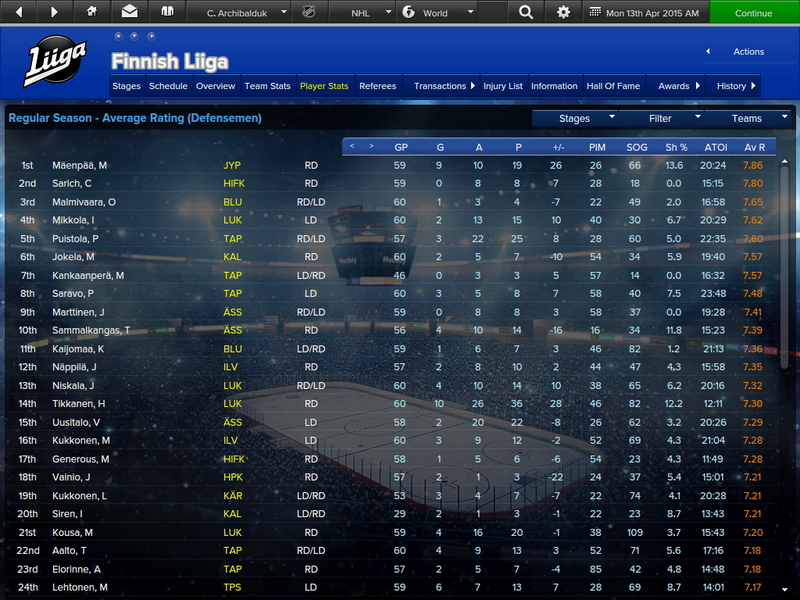 A major limitation with EHM 2007 was that various key aspects of the game were hardcoded, meaning that things such as certain league names could not be edited. Most hardcoded data has been removed from EHM:EA which means that modders are no longer restricted on what league and team names they can edit. Another major improvement is that the start date can be set for each database. This is great news for existing retro databases such as Nino’s 1974/75 database and CJ’s 1998/99 database. 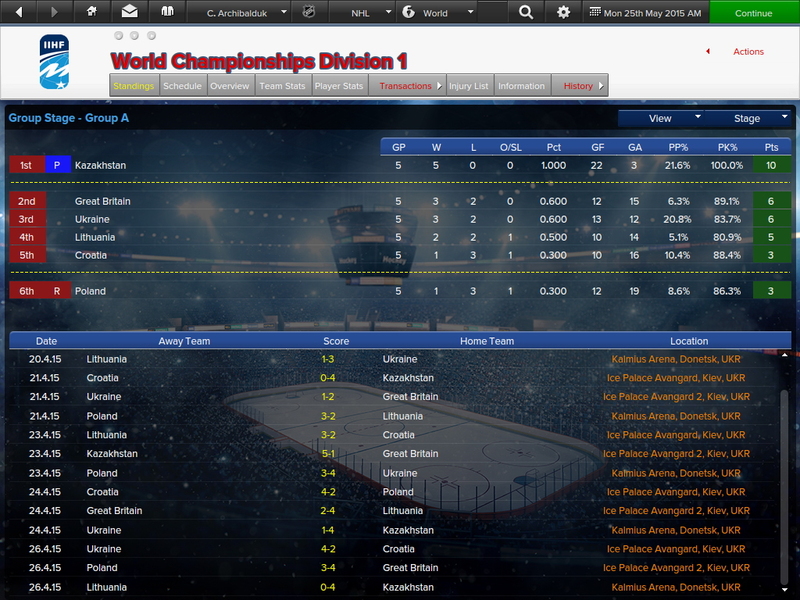 This represents a smaller number of playable leagues than EHM 2007, but there are plans to make more leagues playable during the Early Access period. The reason for this progressive approach is that it takes time to update the new league structures and rules. In addition to the above, you can take the reins of various senior and junior international teams and compete in a wide range of tournaments such as the Olympics and World Championships. Any international team is playable so long as the nation in question has a minimum number of players available in the database. EHM:EA has undergone an evolutionary facelift. The left-hand menu of old has been moved to the top, meaning that each game screen now uses the full width. The game is as easy to navigate as before and those used to the left-hand navigation bar EHM 2007 will adapt to the new layout in no time. 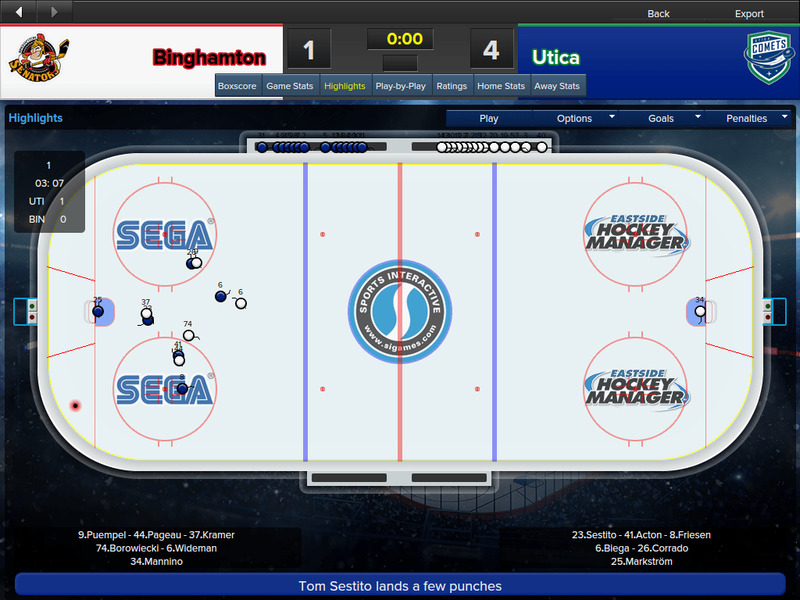 The full width screens make a big difference to how the game looks and gives everything a little more breathing space. The Front Office and Schedule screens have particularly benefitted from this. 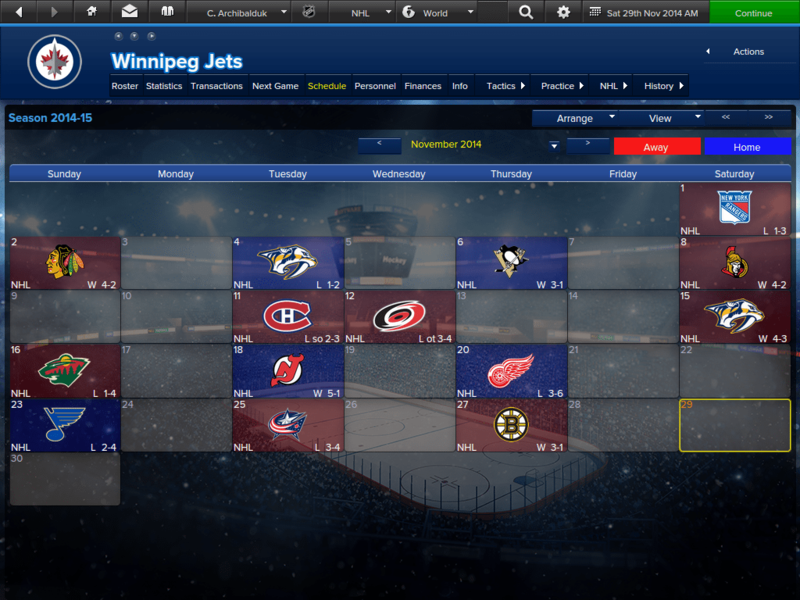 The addition of the calendar at the top of every screen in the game acts as a shortcut to your team’s Schedule screen which is a really nice touch. Screens that show a lot of data have also benefitted from the extra width. Financial data and player profiles are easier to read. 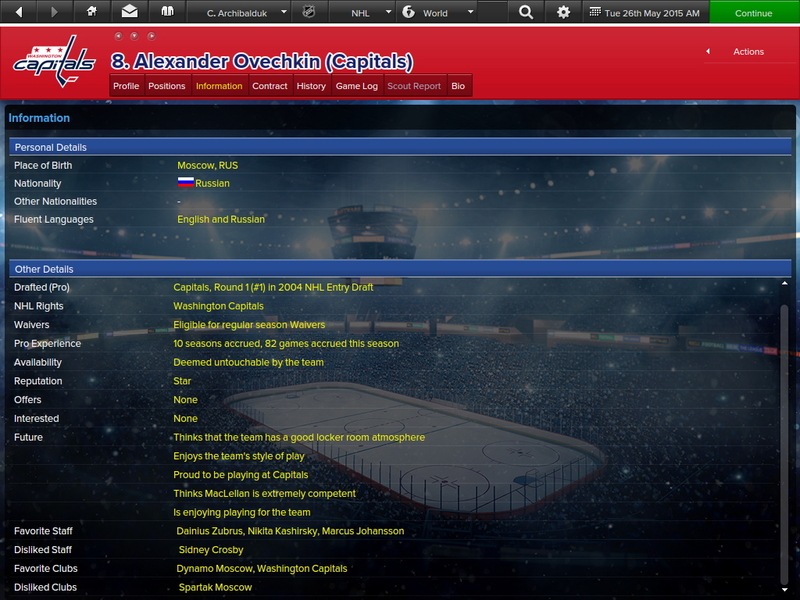 I particularly like adjustments to the player profile screen which are clearer to read than ever. It is clear some inspiration has been taken from Football Manager here! The introduction of the Nation Overview screen is a nice touch and gives you an idea of the biggest leagues, teams and players from each nation. It is hard to know where to begin when describing the features of the game. Think of anything a Head Coach or General Manager does and it is almost certainly possible in game. The pre-season starts with a training camp to which you can invite free agents as well as try out your existing roster of players. Your coaches will keep you regularly updated and you can even watch the scrimmage matches. 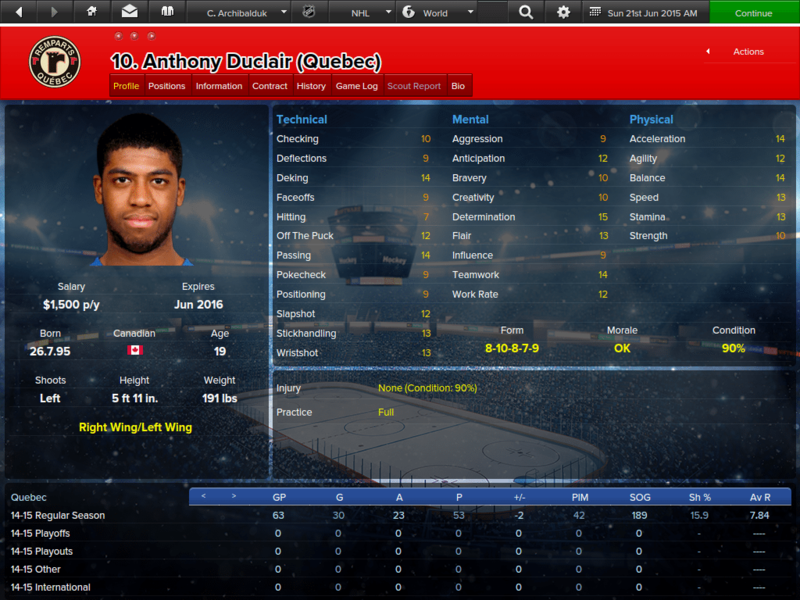 Scouting players is extremely detailed. You can assign any number of your scouts to scout the opposition or specific players, regions, leagues, tournaments or drafts. It is a great way of keeping up to speed with the living and breathing hockey world which EHM:EA does so well to simulate. The scouts provide useful and detailed feedback about the players they have scouted – both the traditional style of grade card and a more detailed text description. Team practice is equally as detailed. 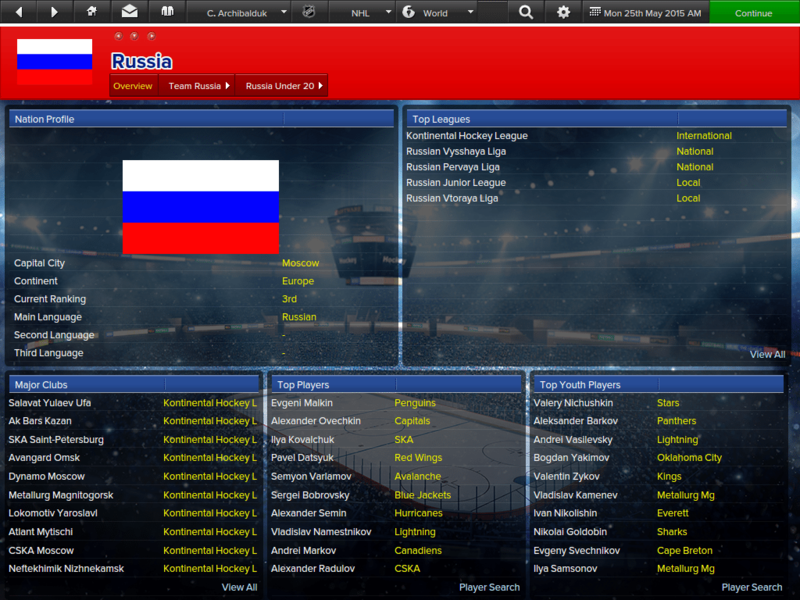 You can set regimes for each player and even train players in a new position. As with many aspects of the game, if you don’t fancy micro-managing then you can delegate the task to your Head Coach. Both the North American-style trading and European-style transfer and loan systems are accurately represented in game. As in real life, you can trade players, draft picks, player rights and cash. Your Head Coach or Assistant General Manager will provide you with guidance on the attractiveness and value of your trade proposal and it is possible to ask for comments from the team you’re trading with. Teams only have so much patience and will lose interest if you try bombarding them with numerous offers for the same player. The trade AI in EHM 2007 was generally regarded as being too weak. It was far too easy to poach star players from opposing teams by stacking trades with draft picks. 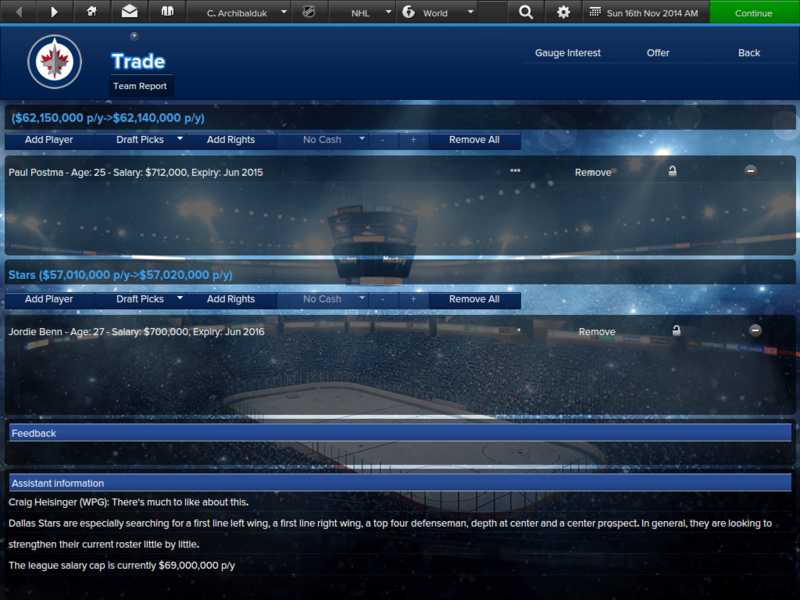 The trade AI has been tweaked in EHM:EA, and it is certainly harder to steal star players. 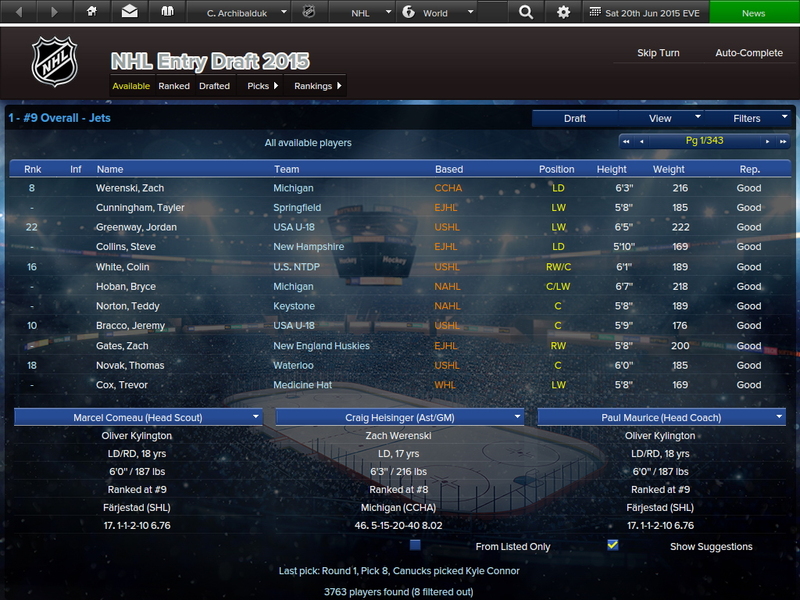 I offered a ridiculous five 1st round picks and rights to a top prospect in exchange for Sidney Crosby and still the Penguins turned it down (whereas before I could acquire him for a couple of picks and a prospect). I haven’t had a chance to try some more subtle deals, but this is really promising indeed. The various drafts are accurately portrayed in the game and are easy to deal with. During the draft your scouts will provide useful suggestions on who you might want to draft. 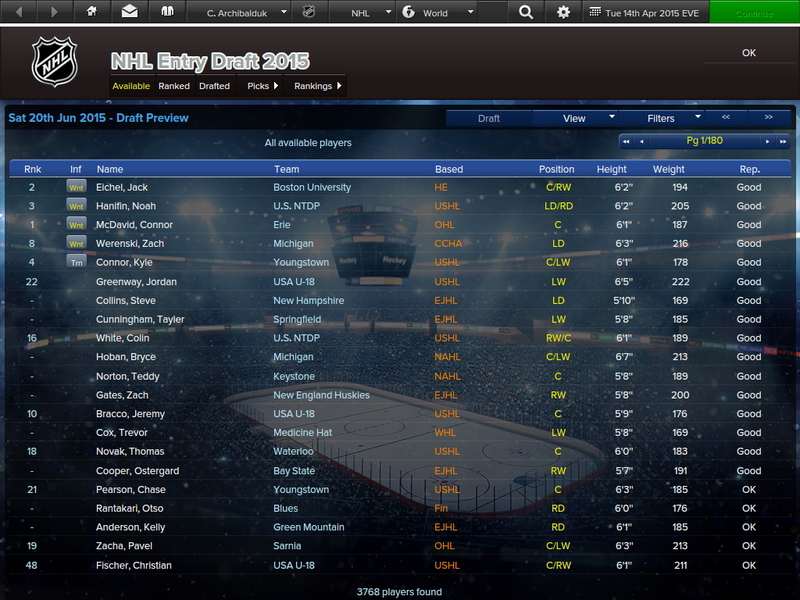 You can also access draft rankings and scout reports to help determine who you should take with each pick. 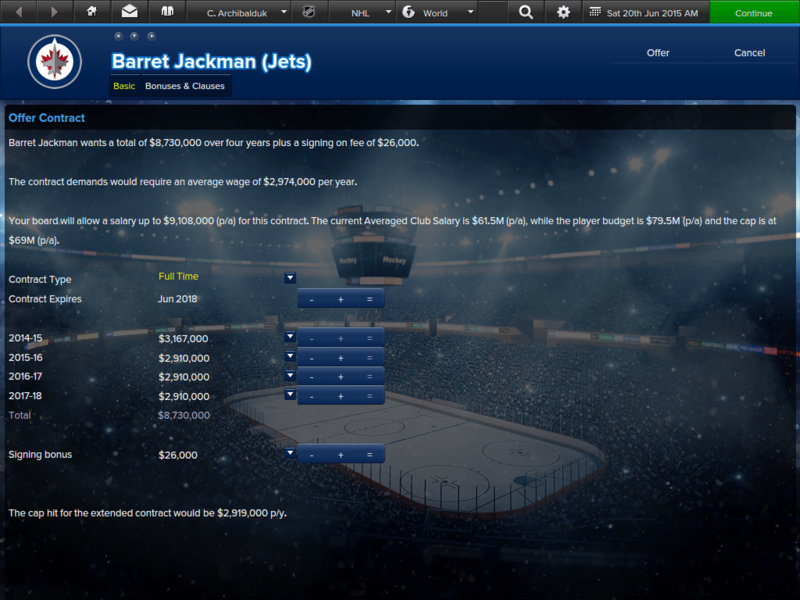 The financial modelling has been vastly improved and works as it should with the current NHL salary cap and floor. 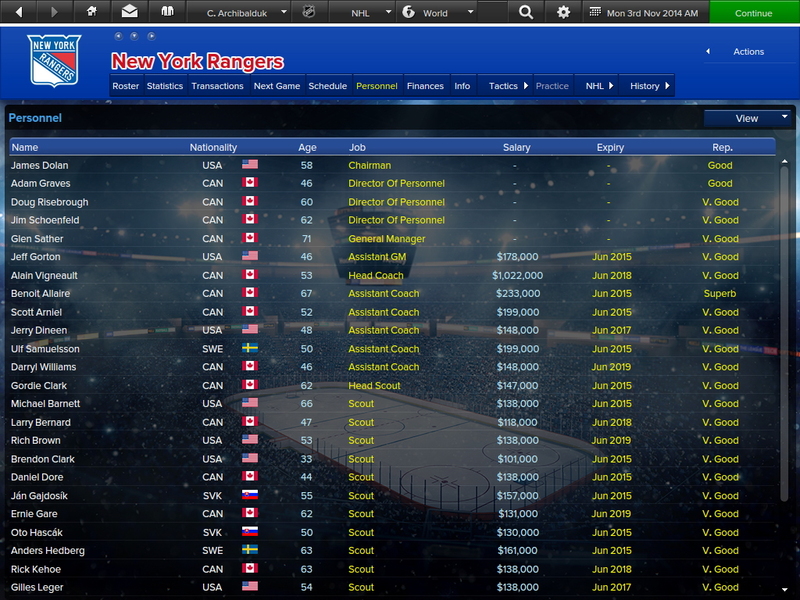 The infamous EHM 2007 $50k bug has been fixed (in EHM 2007, offering a player the highest possible salary would result in them accepting a $50k per year salary). 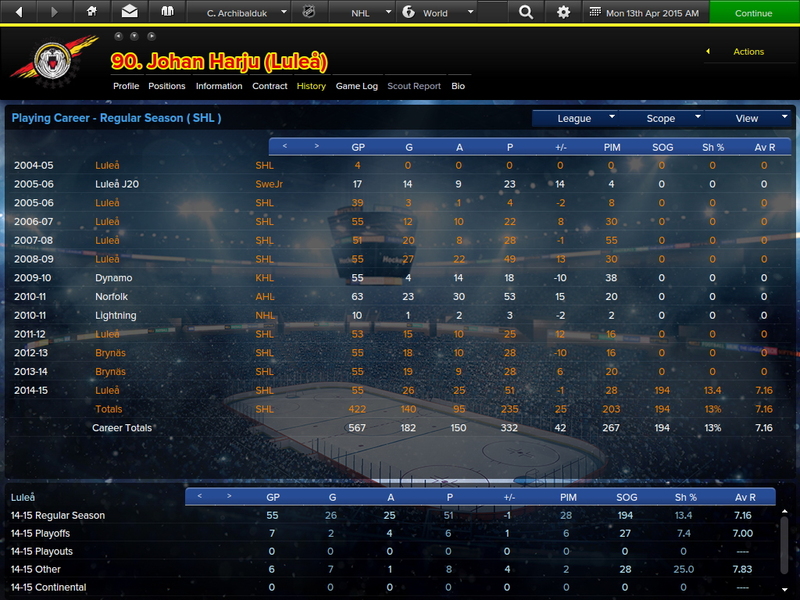 BoA major new feature of EHM:EA is the introduction of Player Roles (there are around 50 roles in total). The roles are set via the game database but, in the absence of a role being set, the game will calculate one based upon the player’s Defensive and Offensive Role attributes (which are used to determine how effective a player is at defence and offence). 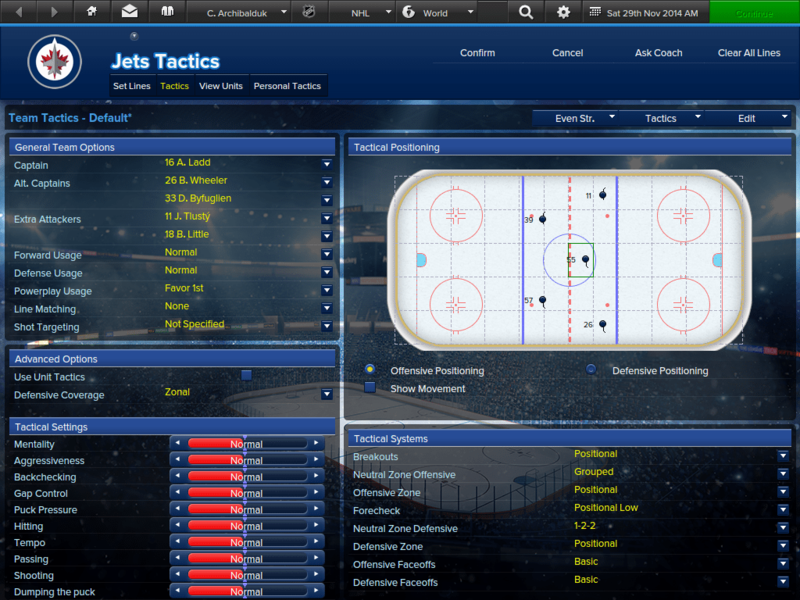 The game uses Player Roles to model each player’s attributes. 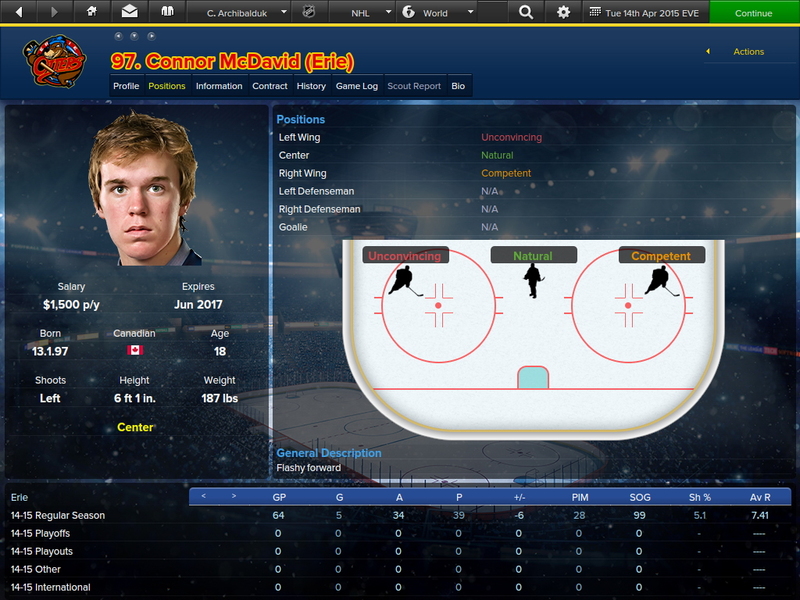 In previous versions of EHM, players were often too good at being all-rounders. A player with a high Current Ability attribute (the overall player skill attribute) tended to be good at everything. However, this should be a thing of the past with attributes modelled according to Role. For example, a player with an enforcer role is more likely to have high Aggression and Fighting and relatively low technical skills, regardless of his Current Ability attribute. This is a very welcome change and should result in a much nicer spread of player talent in the game. Player progression has undergone significant change with the entire module having been re-written. The rate at which players develop and reach their peak should be more accurate than before. There are plans to further refine player progression during Early Access. Two other very welcome improvements over EHM 2007 are a greater emphasis on the defence and a more balanced physical side of the game. EHM 2007 placed too much emphasis on offence to the point where defensive players were of relatively little value. Additionally, taller and heavier players dominated the game with smaller players significantly underperforming. Both of these issues have been addressed and the game is significantly all the better for it. 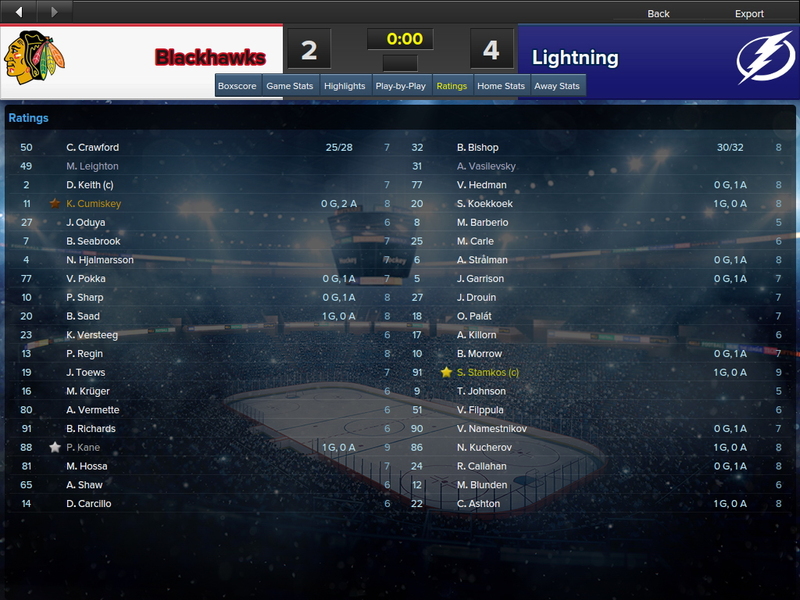 Scoring levels in the NHL are at much more realistic levels than in EHM 2007. I’m seeing teams score around 0.5 goals more per game than in real life – which is very close indeed. The number of points scored by players is also more realistic – I have very rarely seen players achieve 100+ points in a season during my tests (compare this to EHM 2007 where top scorers would routinely score 120+ points per season in the NHL). There is a plethora of tactical options in game. Tactics can be set for the whole team, individual lines and individual players. The settings give you a great deal of control over how your team will behave in matches. If you want that fourth line goon to drop the gloves at every opportunity, you can do so. If you want your third line to play neutral zone trap or your first line to crash the net, you can easily set this up. If you don’t want to delve into tactics and/or choose the team line-up then just instruct your Head Coach to do this for you. 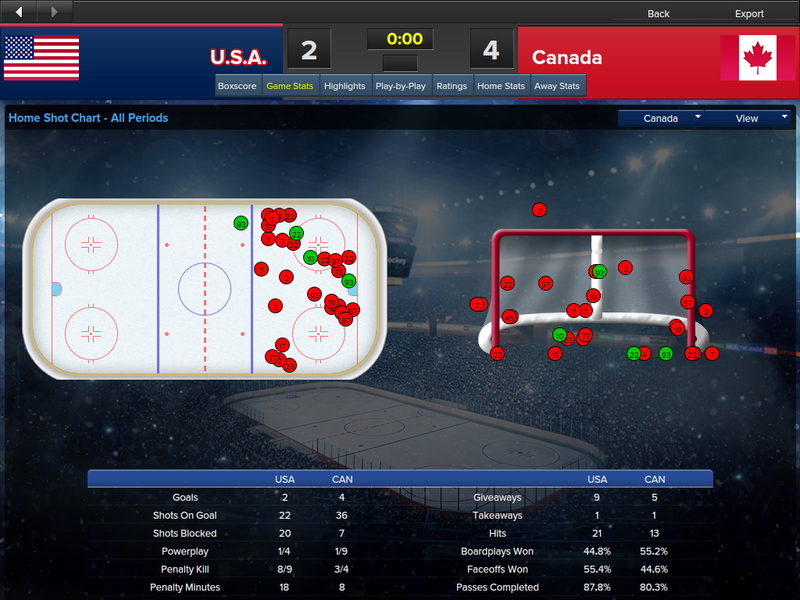 The tactical screens provide useful diagrams to show how the various offensive and defensive systems work. You can see how your players will position themselves in any area of the ice and there are various lines to track movement between sections. This all helps make tactics a little more understandable and less intimidating for novices. As for the match engine, this has undergone a great deal of tweaking and improvement. It now supports new rules such as hybrid icing and 3-on-3 overtime. There is also improved physics, collision-checking and some additional goal celebrations. The match engine offers a new zoomed 2D mode which is probably my favourite UI change in the game. Seeing the game unfold on the zoomed view really helps with the immersion. As with EHM 2007, you can watch every second of the game – from the moment they step onto the ice for the national anthem right the way through to the final whistle. There is plenty of data available – from game ratings, stats and shot charts (which you can then use to determine where at the net your players should be aiming their shots). The game stores an archive of matches so you can watch games from seasons gone by for any playable league or international tournament (the size of the archive can be set via the Game Preferences screen). Watching the games unfold and seeing your tactical genius perform (or not perform, as the case may be!) is immensely satisfying. There is nothing quite like watching the final minutes of a tight Game 7 in the Playoffs unfold – it is genuinely thrilling and nail-biting. 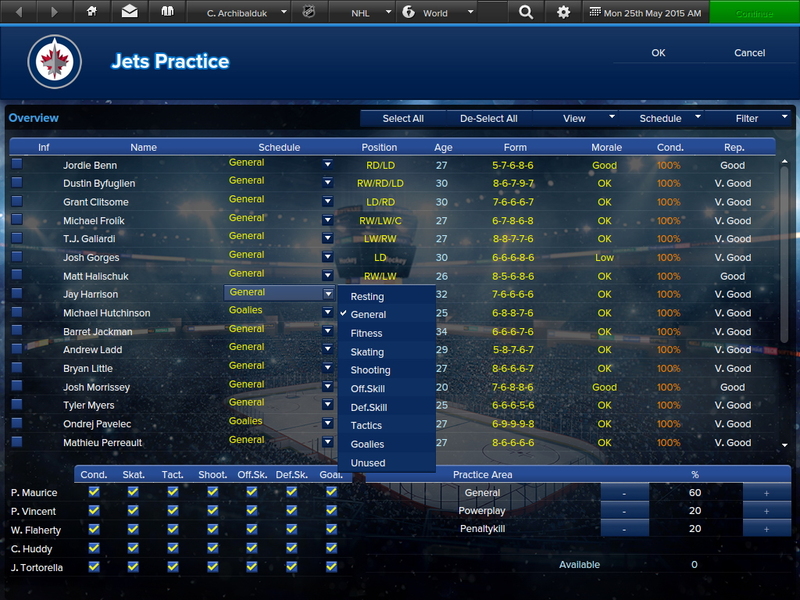 EHM:EA sees the return of 30 player hot seat which is great news for online fans. In EHM 2007 there was a 15 player limit, forcing players to stick with EHM 2005 if they wanted a 30-player online game. At the time of writing, the online mode is temporarily disabled in game. However, the developers have plans to improve the online mode and enable it once these improvements have been implemented. 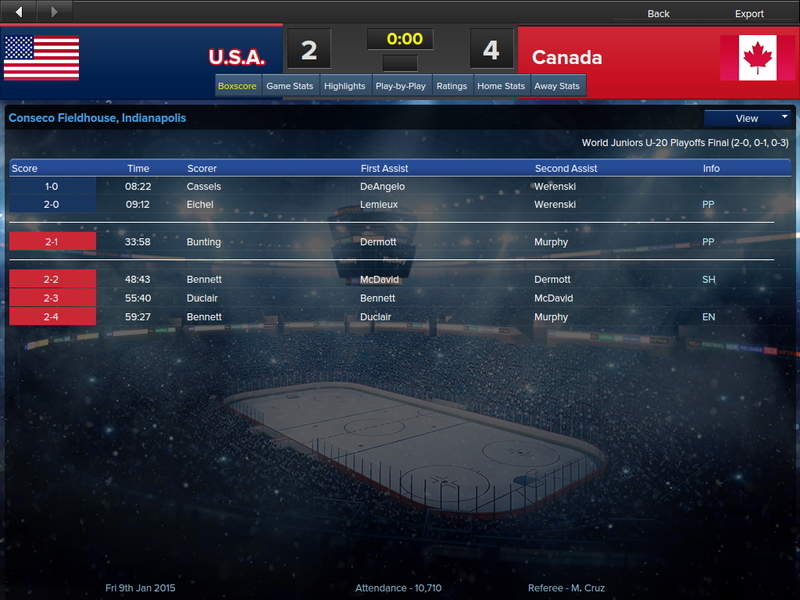 We’re only at the beginning of the Early Access process but already EHM:EA is a significant improvement over EHM 2007. There is a nice mix of new features (e.g. Player Roles and a significantly improved database structure) and finesse (e.g. more emphasis on defence and less emphasis on taller/heavier players). This review barely scratches the surface of what EHM:EA has to offer. I could quite easily write a thesis on all of the features the game. This is quite simply the best hockey management sim on the market – and by a very large margin. Although adequate, the fixed 1024x768 resolution is a bit dated now. I would like to see a widescreen resolution introduced should the series make a permanent return. There is no editor at present which means none of the newly database driven data can be edited at this stage (but The Blue Line has released a new version of its EHM 2007 Updater which allows Player Roles to be edited). Custom EHM 2007 databases can however be imported.